You know you have a nice pan when you can cook an egg and it doesn’t stick to the pan causing you to loose half your meal. Wait a minute, is that a true statement that I just made? No, it’s not! Ok, please allow me to explain my crazy talk. 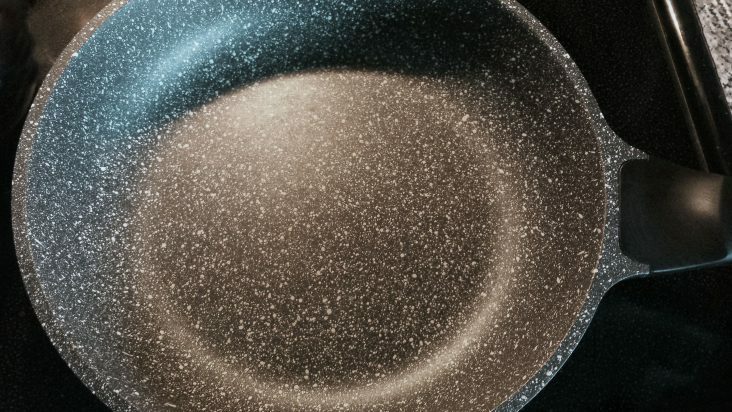 Years ago when Teflon coated pots and pans were made, they were the next best thing since sliced bread! You could cook anything in those pots and pans and clean it out in a minute or less. Now that is what I am talking about, but and this is a big but, we didn’t know it caused health issues for many years later. Fast forward to 2016 and I didn’t have a single nice pan, I mean they are all stainless steel or cast iron but I still didn’t have a single pan….that we really liked using. Cast iron is great but it’s just so heavy. I love cast iron for some things but for others, I just need a light weight pan I can handle with one hand and no pot holders. So I searched and researched and searched some more AND THEN I found an Italian made pan that uses a stone coating. The brand is called Pedrini and I absolutely love their dura stone pans! You can find out more about the technology that they use by visiting their website. Adjwoa Peggy Christian liked this on Facebook.